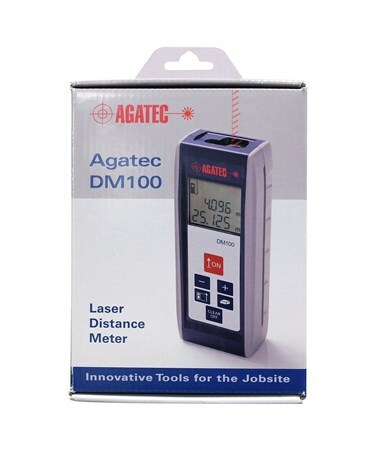 The Agatec DM100 Laser Distance Meter provides professionals and non-professionals with the basic applications necessary to measure and calculate linear distances with ease and accuracy. 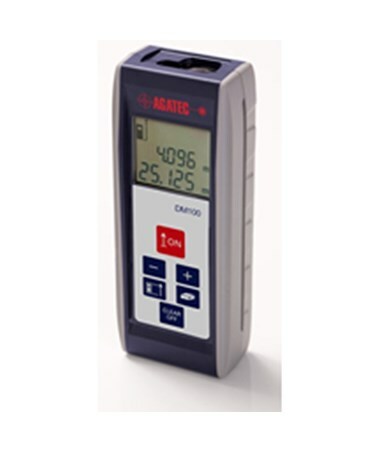 This lightweight and ergonomic handheld distance meter can be used in both indoor and outdoor, with a working range of up to 98 feet. 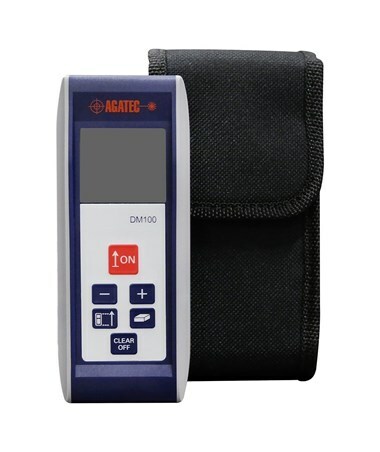 In addition to its convenient design and portability, the Agatec DM100 laser measurer is also very precise, measuring within ±3/32-inch accuracy when the target surface and room temperature are optimal. 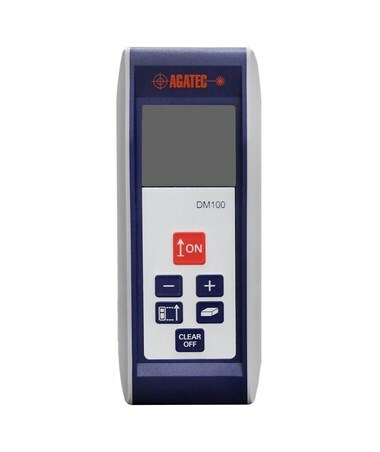 The DM100 measures linear distances, adds and subtracts measurements, and calculates area and volume. Perimeter calculations are easier than ever, and automatic surface calculations save surveyors time while minimizing the possibility for errors. 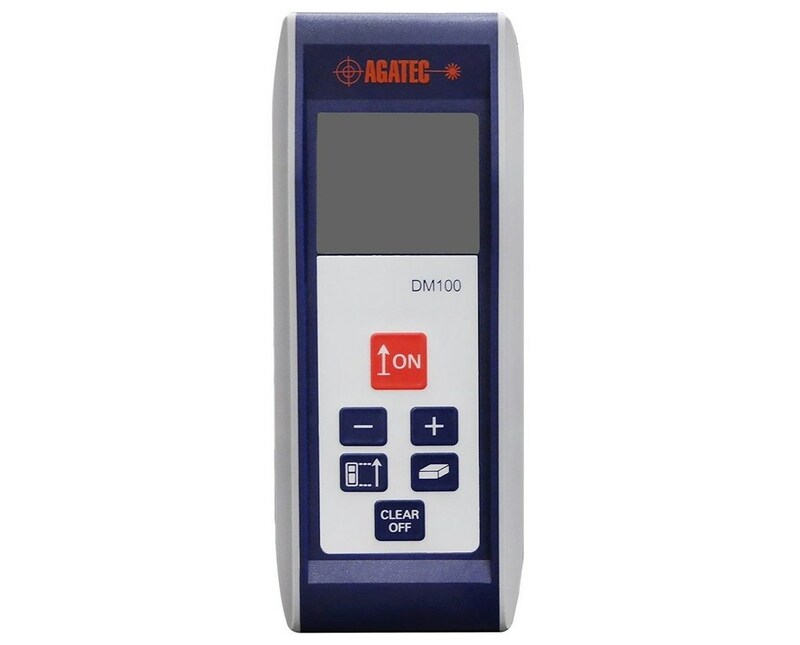 The measurements can be taken instantaneously with the simple push of a button while aiming the laser at any target. 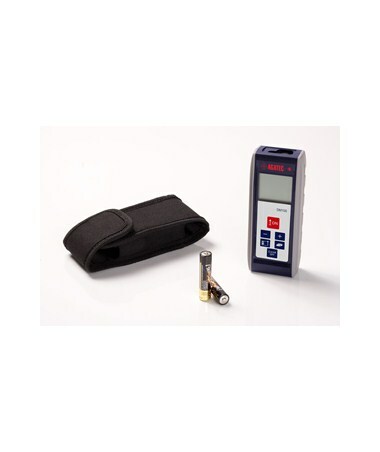 Results are clearly displayed in meters, feet-inches, or inches on the 2-line LCD screen, perfect for any working preference. 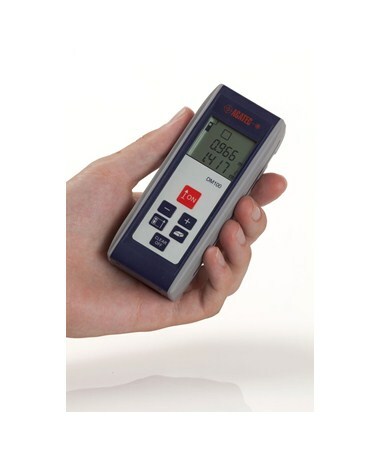 With an IP4X rating, this handheld distance device is also protected from hazardous parts and objects, making it very durable. It has rubber protection on both sides of the device and has an auto shut off feature. 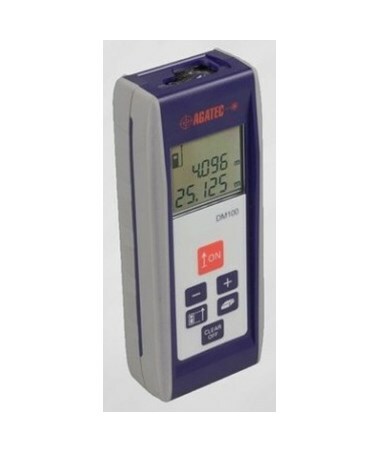 This digital laser measuring device can take up to 3,000 measurements using the included AAA batteries and comes with a 2-year warranty.